I have always loved the sound of church bells. In the olden days when I was a child, we often heard some kind of bell from towers and steeples. We even heard the organs. No more. Not so much. One reason is the cost. 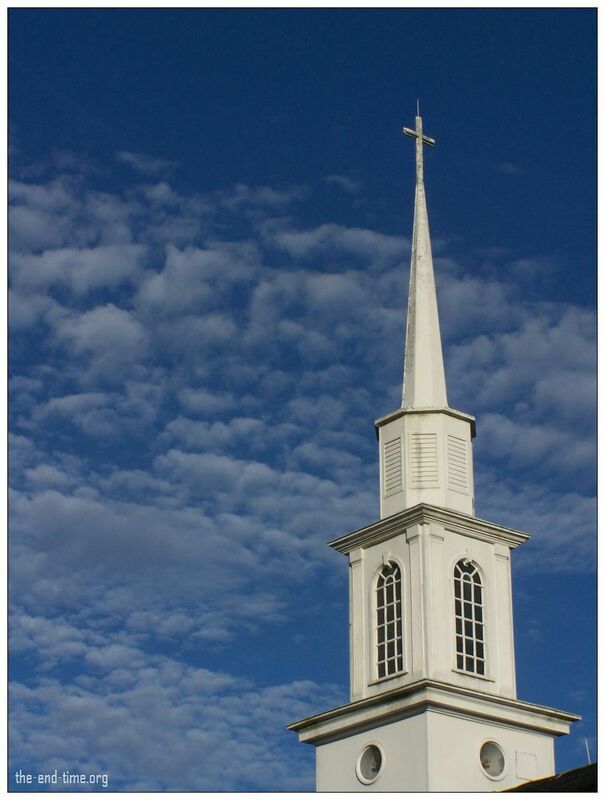 Steeples and towers and bells require a financial investment to maintain them that is often cost-prohibitive today. Additionally, there aren’t many men going into the profession of steeplejack these days. Atop the tiny, white-columned 1842 church where Glen Likens was baptized, where he married his wife, where their children were baptized, where they still worship on Sundays, the steeple is rotting. St. Mark’s Episcopal in Wadsworth, Ohio, hasn’t dared sound the 2,000-pound bell, which has a broken carriage and patched hammer, for a year. It may not sound again — unless a congregation numbering 58 souls in a good week can come up with $30,000. “It’s no easy amount to raise. We absolutely considered taking it off and capping the roof, but voices within the congregation want their bell, their tower. It’s symbolic. It’s part of our church. We want it to be there for our children’s future,” says Likens, who volunteers as St. Mark’s junior warden in charge of maintenance. Nationwide, church steeples are taking a beating and the bell tolls for bell towers, too, as these landmarks of faith on the landscape are hard hit by economic, social and religious change. Steeplejacks, specialists in clambering up to build or repair the soaring structures, see weather-struck, maintenance-deprived steeples chipped, leaking, even tilting. Architects and church planners see today’s new congregations meet in retooled sports arenas or shopping malls or modern buildings designed to appeal to contemporary believers turned off by the look of old-time religion. Steeples may have outlived their times as signposts. People hunting for a church don’t scan the horizon, they search the Internet. Google reports searches for “churches” soar before Easter each year. 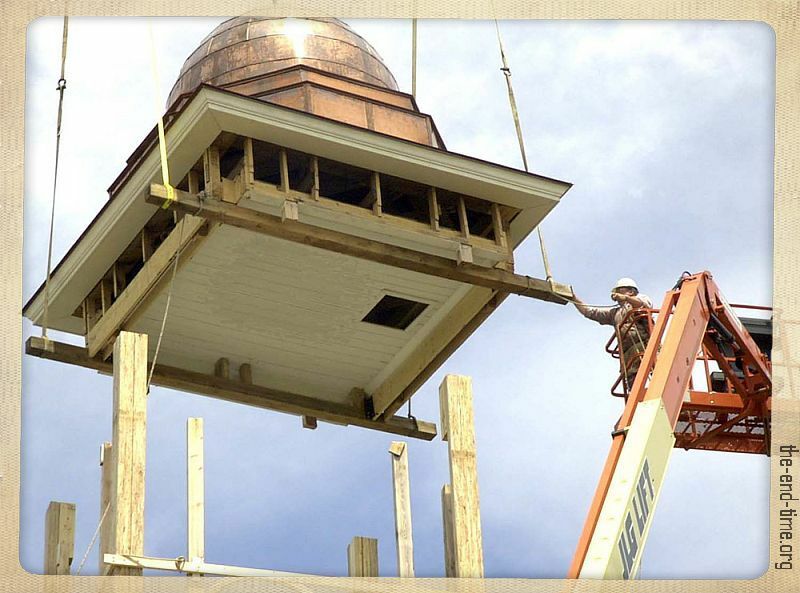 Caption photo below: This New England Historic church’s cupola was removed for repair and returned atop the church. It was an lengthy, expensive, and delicate process. Here is James A. Regester writing about in the Introduction to his 1908 book The Worship of the Church of the history of church buildings. Churches are designed they way they are for a reason.”As soon as the early Christians were at liberty to build churches according to their own mind, they took pains to make them significant of their religion. Probably at first the Christians took for the purposes of their worship such buildings as they could get, adapting them to their uses as best they might. But when they grew strong enough and independent enough to build as the heart and imagination dictated, then they showed themselves careful to make their houses of God in shape and dimension suggestive of what they believed.” These old builders were Churchmen, and made their Churchmanship and their belief felt in their work. Some steeples were used to house the bronze or steel church bell, and that section of the steeple is called the belfry. This area of the steeple would have louvers to emit the sound of the bell on all sides of the steeple, with louver blades tilted downward to help keep out rain. Bells were located in steeples, as this was the highest place on the church; this height helped the sound to travel a farther distance, floating out over the community. The bells were used as a call to worship, to ring the time of day in the community, as a wedding peal, and as a solemn funeral toll to mark the passing of a cherished member. This is why you still see louvers in the midsection of modern steeples even though they may not have a tradition bronze bell. Some churches have replaced the traditional bell with the more versatile electronic carillons that can digitally recreate the sounds of cast bells, played as hymns, angelus, pealing bells and funeral tolls. 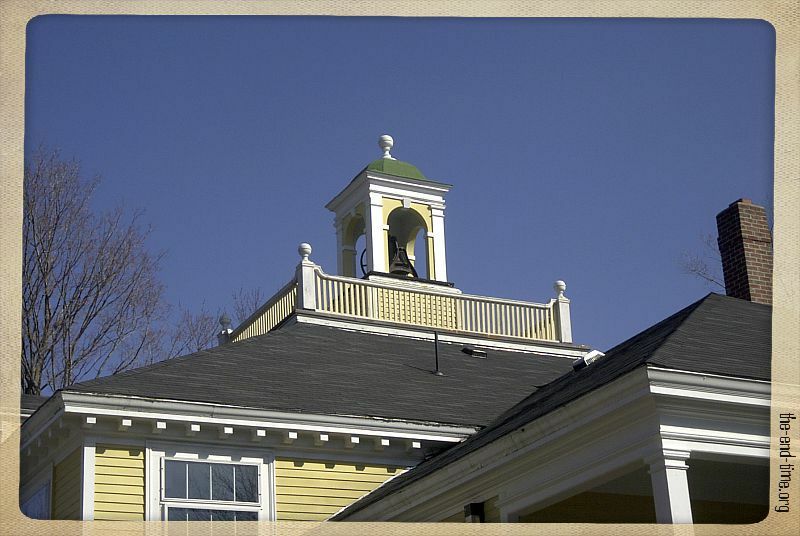 The louvers also aid in ventilation of the steeple, which extends the durability of the exterior finishes. In the tower are the bells, and what the spire with its uplifted Cross says to us in silent eloquence these say in sound and music. The office of the bell in calling to prayer and holy worship was regarded in olden time with much reverence. The use of bells for the purpose of gathering people together in large numbers appears to be of Christian origin. “Large bells hung in a tower seem to have been unknown before A.D.500. 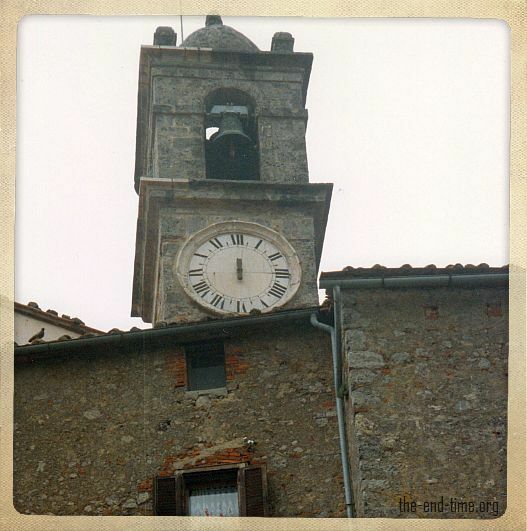 They were first made in Campania in Italy, whence the Italian name campana, a bell, and campanile, a bell-tower. “Bells in the middle ages were sometimes dedicated to saints. They were christened with all the usual ceremonies and with much pomp; sponsors were provided, the bell was sprinkled at the font, anointed with oil, and robed in a chrisom. Superstitious as these customs would seem now, there is something fine in the simple faith which thus, in those more poetic days, consecrated to God’s service the voices which should proclaim Him far and wide over the land.” In simpler form, the custom is still frequently observed of setting apart by solemn prayer and benediction the bells which are to call men to prayer or to ring out the praises of God. 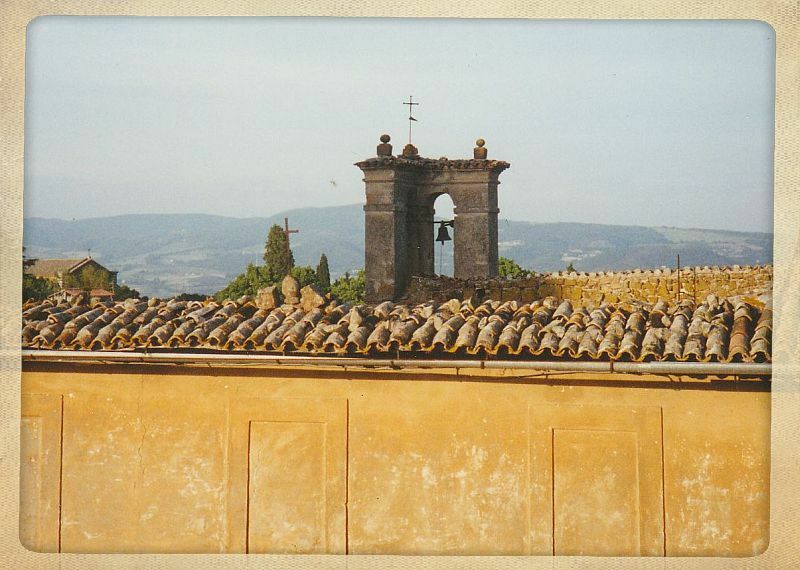 Caption photo below: Orvieto, Italy bell tower. Notice the cross atop the tower, to the left of the tower, and atop the roof of the distant building. Click to enlarge. If you are interested in Ecclesiastical Architecture as I am, which I have written about a few times before, here is a good series from The Christian Pundit about how and why churches and their interiors look as they do. I can always count on you to bring up fascinating topics I would have never thought to contemplate. 🙂 I love to watch the royal weddings on T.V. when they occur because they always have real bells ring. Its so pretty. For eight years I was part of a neighborhood church which used the bell to send messages. If a member of the congregation died, the bell would be rung the next morning, including one toll for each decade and then for each year after the last decade. (Eight tolls, a pause, and five tolls = 85 years old.) Whenever the congregation prayed the Lord’s Prayer, the bell would be struck once at “Our Father,” once at “daily bread,” and once at “Amen” so people at home could pray along with people at church. J.
Salvageable, Wow that’s so interesting! I love that bells are an audible declaration of the Lord’s presence through His saints. Probably that is one reason they are disappearing. The steeple too, is a visible reminder of the Lord’s presence through His saints. As the guy said in the article above, ‘“everyone in town knows this is the church with the bell tower.” And by association, everyone knows the church is under the steeple and in the church are the people. Does anyone play “Here is the church” on their fingers any more?